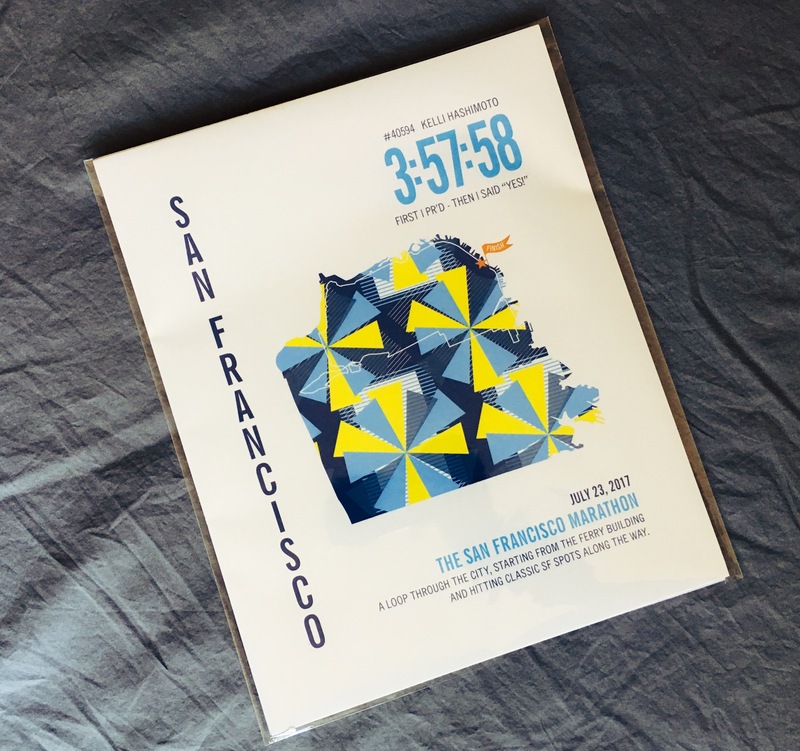 I recently had the opportunity to try out and review the October box from RaceHer Box – the subscription box company catered to women runners. Check out my review below for 10% off your first box! I love getting stuff in the mail, especially when it is a surprise. That is what you get with subscription boxes. For $35 plus $6 shipping every other month, you can receive a pretty pink box filled with 4-7 goodies that include run gear, snacks and pampering items. The October box included a tank from The Gym Swag Shop, Lock Laces, Hammer Nutrition gels, a pumpkin spiced pie CLIF BAR, tea and a bath scrub. I had never tried any of the brands or items in the box so it was a great way to try out some new gear and new snacks! I’ve tried some running subscription boxes in the past but I really enjoyed and appreciated that this one was catered to women runners. Plus with the holidays coming up, everyone will soon be thinking about holiday gifts. This subscription box is a great gift idea for any female runners in your life, or maybe even a treat for yourself! I should mention that they have a Deluxe Holiday Box coming soon so make sure you check out the website for the latest details and use code RUNHAPPY10 for 10% off any box! Why Should Runners Practice Yoga? If you’re like me, most days include the essential activities such as going on my run, eating and going to work. Or as I like to say, “eat, sleep, run, repeat“. So why add another activity into your training program and how do you even find time for it? Mindfulness – As you learn how to bring awareness and focus to your practice, you also bring awareness and focus to the other aspects of your life. Strength, Balance & Core – Yoga teaches you how to use different muscles to balance your body in various poses. You might not even know you had some of these muscles! Flexibility & Stretching – As a runner, you probably have tight hips or hamstrings… not to mention that IT band. Adding yoga to your current training program can definitely help, there is hope! How to Add Yoga to Your Current Training Program? Start out slow – This is important when starting any new activity but especially when practicing yoga. No matter how fit you are, yoga is a humbling practice and it takes time. 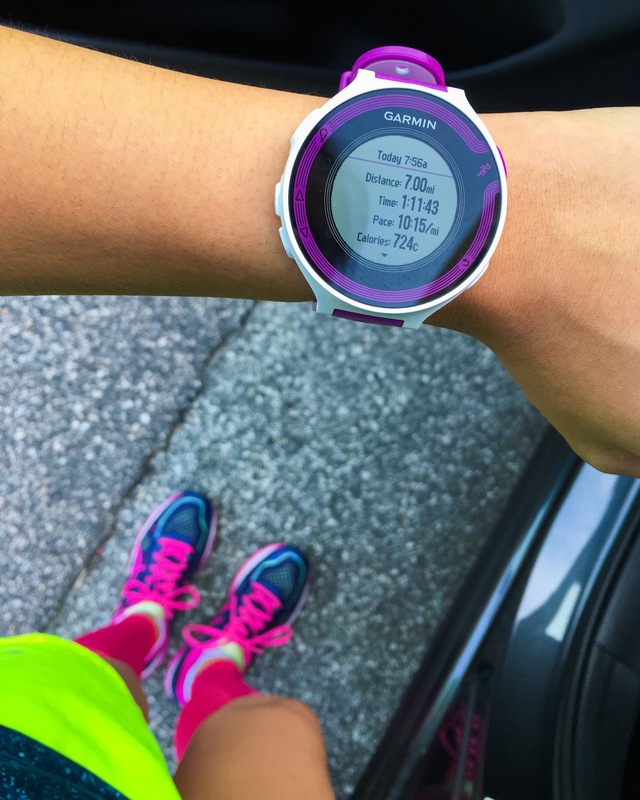 Start by adding one class in addition to your running days and then you can begin to add more. Every day is different – Similar to running, know and respect your body to stay injury-free. When I began my yoga practice, I found it is easy to get caught up in the mental and physical challenge. I immediately ended up overdoing it and was forced to take time off from both running and yoga. If you’re considering adding yoga to your running routine, I would also recommend checking out this article from Runner’s World, 6 Reasons Your Yoga Instructor Needs to Know You’re a Runner. Sick days mean the worst days EVER. Most of us runners have been there. You’re sick but you could definitely push through your run. If you could do it, then why shouldn’t you? I struggle with this every time I get sick, like today for example. Part of this is because I grew up playing sports and you’re coached to play through whatever you can (sickness, injury, etc.). Non-running friends scold me because the simple and easy answer is that if you’re sick, don’t run. I may be a little stubborn. In my non-medical opinion, I think that it is best to know your own body. Every runner is different, every day is different and every sickness is different. Exercise can definitely give you an energy boost given that you feel up to going for a run and don’t have severe symptoms. If you do decide to go that route, it is crucial to take it easy and avoid pushing yourself too hard. That being said, exercising through sickness and pushing yourself too hard also risks making matters worse. Running with a simple cold could turn into a sinus infection (among other things), thus adding more days keeping you from running! As a good rule of thumb, Runner’s World says, “when in doubt, sit it out“. I wouldn’t normally consider 7 miles my weekly long run but after resting my foot for over a month, this run was definitely a humbling experience. My foot has felt significantly better in the past couple of weeks so I decided to try a 10 mile run this morning to see if I could go through with my plan of running the Tarheel 10 miler next weekend. Unfortunately, I will definitely be dropping to the 4 miler after evaluating my run today. My foot hurts (plantar fasciitis). The hills were killer. My legs were tired. It was difficult. I honestly haven’t felt like this in a LONG time so it made me realize that it will be awhile before I get to the shape I was before this injury. I’ve always been coached to push and challenge myself so it goes against my nature to be dropping to a lower mileage for next week’s race. In the past couple years, I’ve learned to listen to my body in order to take better care of it. So even though today’s run was not anywhere close to my expectation, I am so grateful that I was able to push through 7 miles!